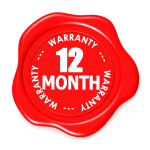 Gardner Engineering Australia (“GARDNER”) Standard Warranty is for a period of twelve (12) months from date of sale. This warranty covers defects in material and workmanship and is subject to receipt of supporting evidence and/or inspection by Gardner and confirmation that said attachment or part was installed and operated in accordance with Gardner’s currently published instructions. Upon acceptance, Gardner shall repair or arrange for the repair and/or full or partial replacement of such attachment. Any attachment or part repaired or replaced under the terms of this warranty policy shall retain the warranty period pertaining to the product’s original date of purchase. This policy does not cover machinery, parts or accessories that are warranted directly to the end user by third party manufacturers, for example hydraulic cylinders, hoses, valves, or any other portions of hydraulic kits used in Gardner products but not manufactured directly by it. Failure to follow Gardner’s or the third party manufacturer’s recommendations for oil pressure and flow ratings on hydraulic components will invalidate all warranty claims relating to both the attachment and the hydraulic components of the attachment. Gardner Engineering Australia shall not be responsible for any problems associated with hose fittings, damage or malfunction after installation regardless of cause. If in doubt, contact Gardner Engineering Australia for assistance and advice. This policy does not apply to parts which have been repaired, substituted or modified by the owner or a third party without prior formal written authorisation from Gardner Engineering Australia. This policy does not apply to parts which in Gardner’s opinion, have been subjected to, or adversely affected by, operator misuse, accident, negligence, improper installation, maintenance, or storage. Normal wear parts and parts requiring regular lubrication are not covered by this warranty. This policy does not cover parts used for any procedure contrary to the recommendations of the manufacturer. This policy is restricted to the direct repair and/or replacement cost of the said part. It does not apply to any incidental or consequential costs such as transport, travel, injury, accident downtime, consumables and any other indirect expenses. Gardner accepts no responsibility whatsoever for the suitability, or otherwise, of the carrier machine or other equipment to which a Gardner attachment may be mounted upon or fitted to. Gardner shall not be held liable for injury or damage caused to any persons, place or machine by reason of the installation, use or mechanical failure of any Gardner attachment. Gardner shall be under no liability in respect of any defect in the goods arising from any drawing, design or specification supplied by the buyer. In relation to the supply of buckets by Gardner the above warranty shall only apply to cracking and bending of the buckets during correct and normal usage and shall not extend to the breakage of or failure of bucket teeth, cutting edges, bucket sides or base or to any other failure in performance due to a bucket being used in applications outside of its intended specified applications, including for example where a general purpose bucket or heavy duty bucket is used for rock and concrete excavations. Gardner Engineering Australia shall be under no liability under the above warranty (or any other warranty, condition or guarantee) if the total price of the goods has not been paid in full. At its option, Gardner will repair or replace the said part. Any repair work may be carried out at Gardner’s own premises, at the workshop of an authorized Service Agent/Dealer, on the site at which the part or attachment is being used, or at any other location that Gardner considers appropriate under the circumstances. Under the terms of this warranty, Gardner’s obligations are limited to the repair or full or partial replacement of the defective item(s) and do not include any costs, direct or indirect, associated with the removal or reinstallation of the attachment or part on the carry machine. This is the responsibility of the Customer. Gardner warrants that any repair work carried out by it directly shall be conducted in a timely and professional manner. Where a third party is engaged to carry out repair work in connection with a PGE warranty claim, Gardner’s obligation and liability shall be limited to a refund of the authorized reimbursable costs charged in connection with the provision of such work. The Customer is responsible for the correct and proper installation of the part or attachment as detailed in the Operation and Maintenance documentation supplied by Gardner, including hydraulic and electrical connections. The Customer is responsible for the completion of the formal Pre-delivery check and the Warranty Registration forms (which form part of the above documentation) and their return to Gardner within seven days of initial commissioning. The Customer is also responsible for notifying Gardner as soon as it identifies a defect or problem that may potentially be subject to a claim under this policy and for following Gardner’s published Warranty Claim Procedure.